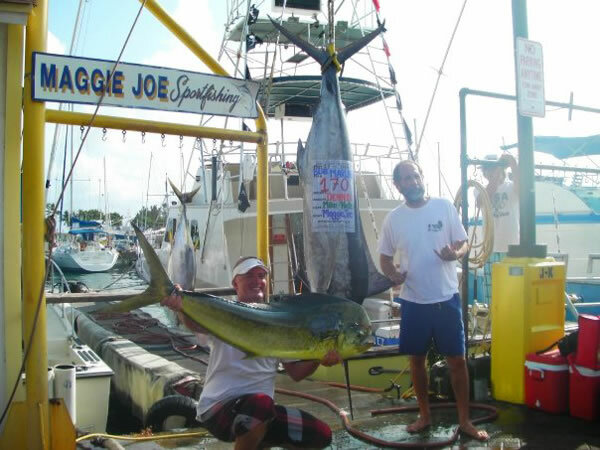 Established in 1950, Maggie Joe Sportfishing is Oahu’s oldest and most experienced deep sea charter fishing business. 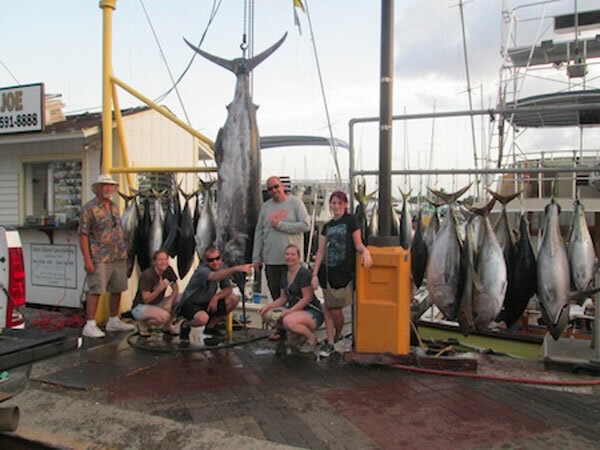 After three generations of deep sea fishing in Hawaiian waters and an annual success rate of 95% or better, the captain and crew of the Maggie Joe are true experts and know the best big game fishing grounds off the Waikiki coastline. Reel in a big one, such as a Blue Marlin, Wahoo (Ono), Stripjack Tuna (Aki), Dorado (Mahi Mahi) or Yellowfin Tuna (Ahi). 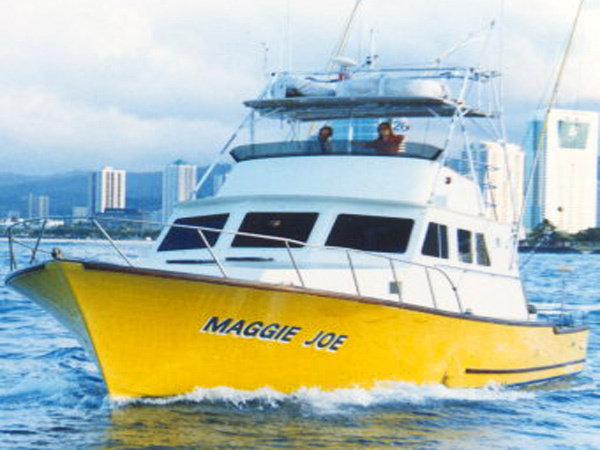 The Maggie Joe departs daily from Kewalo Basin Harbor, which is close to Waikiki. 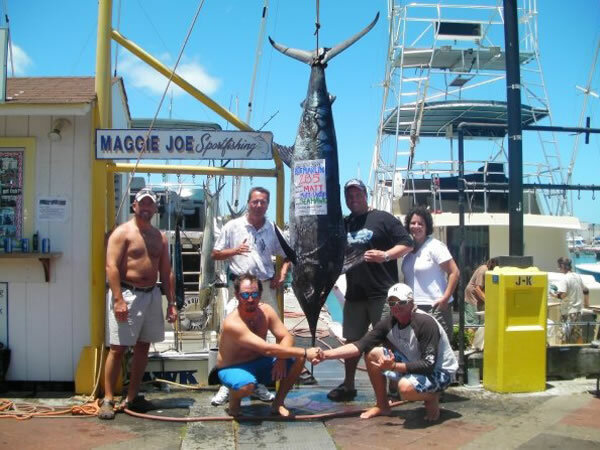 With Maggie Joe Sportfishing, for fish under 100 lbs you are welcome to take home with you eating portions up to 50% of the fish up to 50 lbs total of fish. Any fish over 100 lbs will not be cut. All fish cutting is ultimately at the captain’s discretion. Note: Exclusive rate is for up to 6 people, not per person.